It's that Time of the Year Again! Time for our 'Best Of's' from 2008!! Ever since the prominence of blogs and itunes the last few years I've tended to listen to individual tracks more than whole albums. That being said there were still some excellent albums in 2008 that I enjoyed a whole lot, possibly more than last year when I only did a top singles list. This year I'm gonna try to do both. A top albums and a top singles list. It's funny but I get used to playing certain tracks out and after awhile I forget their the remixes and not the originals. For example The Black Kids 'I'm Not Gonna Teach Your Boyfriend How to Dance' I always play out The Twelves Remix which I prefer over the original which is much slower. I'm sure I'm gonna miss some good albums, but I'm gonna post the albums that I actually listened to and enjoyed the most throughout the year. If there was only a single or 2 that I liked from an album I'll just include those in the singles list. For example I didn't really listen to the whole Ting Tings album this year, but there were a couple of great singles, so I'll put those on the singles list instead. I've decided to do a Top 15. 20 was too much and 10 left out some good ones. Also except for my favorite album of the year I had a hard time putting the albums in order, but I think it's more fun when you rank them so I'll assign a number to each of them. They're all great in my book though. 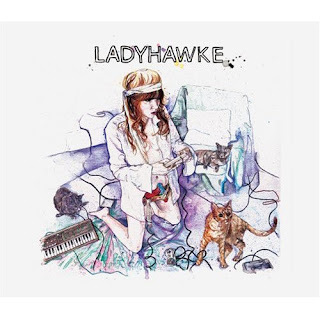 One of the artists who was most remixed and made a big splash in 2008 was Ladyhawke. She had a solid, well produced debut record. If you know me or read the blog, you know I love electro-pop, so it's a no brainer that this album would make my list. This record is full of great sounding synths, a distinctly 80's feel, great melodies, pop hooks and her great voice. That's all it takes for me. The whole album is solid, not just the bigger hits like (Paris is Burning/Back of the Van). I can listen to the whole thing and enjoy it from start to finish. Starting with this great album opener which I've been playing out lately. Late of the Pier from the UK came on strong this year with their explosive debut Fantasy Black Channel produced by Erol Alkan. It's electro-rock for the dancefloor. Guitars and synths working together in unison to produce a record full of energy, adrenaline and excitement. What I love most is that they seem to be having a great time playing together and it shows! Like alot of records this year I'm not sure if it's available as a domestic release, but it's definitely worth getting. A fun, dancefloor friendly record. 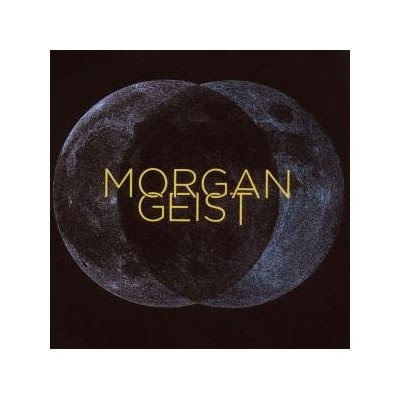 Fans of Junior Boys will love this album by Morgan Geist! 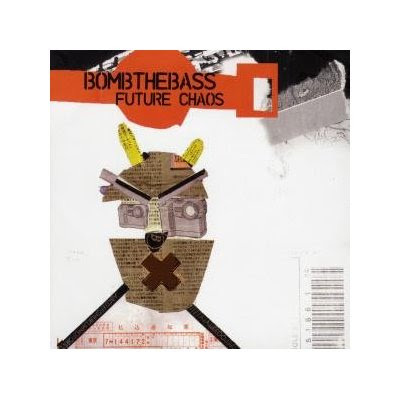 It features a similar sound to Junior Boys (intelligent, electronic pop music) and it features Junior Boys frontman Jeremy Greenspan handling vocal duties on almost all the tracks. As the name implies, it's a great late night record that doesn't lose it's luster after repeated listens. Single Detroit which kicks off the album is stellar! So is Most of All which is an older track which they included on here as well. A beautiful record that will stand the test of time well I think. A late entry this year, coming in less than a month ago this record from Bomb the Bass is amazing! After more than a decade away Tim Simenon has returned with a dark, minimal electro-pop classic. Using only a laptop, a mini-moog and the help of 5 different vocalists. He stripped down all the excesses of his previous albums to produce a simple, dark sounding, well flowing album. It's not at all what I expected and I love it! Most like Morgan Geist's Double Night Time. These two late night records can be played back to back like sister records, probably why I put them back to back on the list. Probably the least known band (for now) on my list. 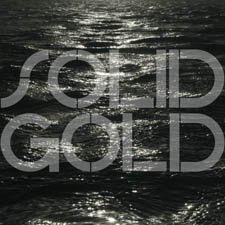 I reviewed this record from Minnesota band Solid Gold not too long ago after hearing that they were opening up for the Ting Tings on their recent US tour and I was mightily impressed! They're a great mixture of rock, electronics and pop. The lead singer's voice is excellent and they have a knack for interesting pop hooks and beautiful varying musical landscapes. They're not afraid to try diffrent things and experiment with their music which is great. There's not a bad song in the bunch. I have a feeling we'll be hearing alot more from them in the years to come. One of my favorite singers of all time is Gruff Rhys from Super Furry Animals. I was pretty much addicted to SFA for their first 3 or 4 albums in late 90's to the early part of the decade. So when I heard he was doing a new electro-pop side project called Neon Neon with Boom Bip I was pretty excited. They made one of the funnest records of the year! Mixing hip hop tracks with electro-pop tracks is a perfect combination that appeals to both audiences. The album sounds fresh and of the times. I was burning out I Lust U when it first came. It kinda reminds me of the Postal Service back and forth male/female vocals of Nothing Better. Pop genious! Of course, it's Gruff Rhys, did you expect anything less? This Florida band made quite a BUZZ in 2008. They blew up on the National stage seemingly overnight. Then it seems there was a backlash (as there almost always is when a band becomes too popular too fast). People started saying they were too sweet and poppy. Only problem with that argument is that I love sweet and poppy! This debut is magnificent. It got tons of play from me particularly at Fridays @ The Vagabond were the indie kids still go nuts everytime I play it out. A great record from beginning to end with some big singles like Hurricane Jane (my favorite) and I'm Not Gonna Teach Your Boyfriend How to Dance. Here's another stand out track from the album called I'm Making Eyes at You. 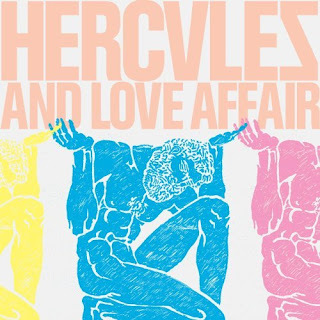 Of all the nu disco artists that came out this year Andy Butler's Hercules & Love Affair were able to capture the sound and reach a more mainstream audience than anyone else. Showcasing the disco sounds of the past in a new and interesting way and not being afraid to delve into other realms as well. 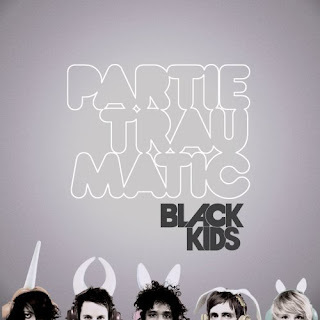 It's a full fledged party album and the best pure dance record of the year! Blind has to be one of the best singles to come out all year! It's simply breathtaking. When I first heard it I was blown away, it sounded like an instant classic. Extremely bold, it made a statement. Antony Johnson's vocals are amazing! They lift the album to an even higher level. It was pure genious on Andy's part to incorporate him into this project. In addition their artwork has to be one of the best to come out this year. Simple, bold and classic, just like their music. Probably one of the most aniticipated records of the year. It was 10 years in the making! I wasn't crazy about the record at first. It took awhile for it to grow on me like every Portishead record before it. Simpler, rougher around the edges and more minimal than they're previous albums. It's a record that takes some time to digest, but if you give it a chance it will reward you. Beth's voice is still as amazing and delicate as ever. 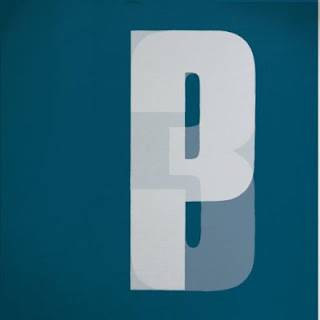 In the end it's classic Portishead. Stand out tracks for me are Nylon Smile, The Rip and first single Machine Gun. Two of modern times most amazing and accomplished artists came together after a long gap to produce another stellar work of art! 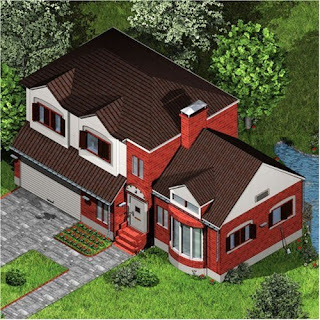 David Byrne is in top form here and written some of his best songs ever! It's a gorgeous mature work of art and thoroughly enjoyable. I can't get enough of Strange Overtones! Australia has been producing some of my favorite music the last couple of years. 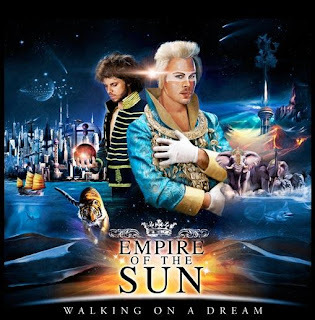 Including this apparent one off record from a members of PNAU and Sleepy Jackson called Empire of the Sun. It's a psychedelic rock/pop gem! The first 5 tracks on this are tough to beat! Probably only MGMT had a better opening half of a record this year, which interestingly is the other band that reminds me most of Empire of the Sun. Single Walking on a Dream is absolutely gorgeous! Their video for it is also one of the most beautiful videos ever! Shot entirely in Shanghai, China. You have to check that out on Youtube if you haven't already. Here's the excellent album opener Standing on the Shore. 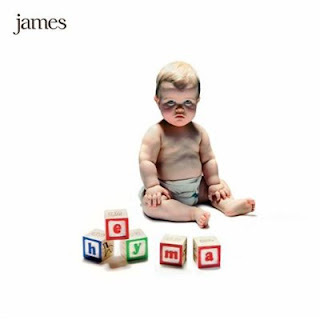 After an 8 year hiatus James returned this year with another classic album Hey Ma which will probably be overlooked by most 'Best of' lists this year, but that's the beauty of James. Even though they reached some success in the early 90's with Laid they've always kinda simmered below the surface of mainstream producing some of the best pop music of our time and that's kinda how I like it. This record features the full band line up of their Laid days and is pretty special. The lyrics get a little political with tracks like Hey Ma where he sings about soliders coming home in bodybags, but he does it in full pop fashion complete with horns, strumming guitars and soaring vocals. Gotta love Tim Booth! One of the best voices/lyricists in music in my opinion. 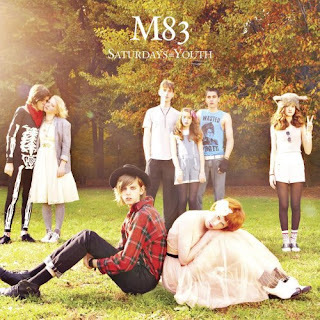 M83 produced one of the most beautiful records to come out this year with Saturdays = Youth. It is drenched in nostalgia, gorgeous melodies, exquisite sounds and beautiful male/female vocals. As I was researching for my list I noticed many critics/bloggers feel the same way as this album has made it on many 'Best of' lists and for good reason! This album gives you the sensation of reliving the 80's except with the added experience/knowledge you have now as an adult. It's as if all the cool bands from the 80's somehow came together to form a supergroup. Dashes of Jesus & Mary Chain, Cocteau Twins, My Bloody Valentine influences can all be heard, but yet they do it in a way that sounds like them and not like their copying anybody in particular. Kim & Jessie has to be one of the best singles to come out this year! So is Graveyard Girl and the whole thing really. A must own record! Absolutely gorgeous! 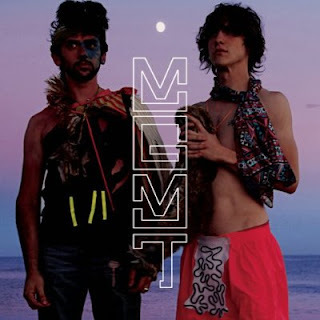 Probably the most impressive debut to come out this year was MGMT's Oracular Spectacular. Will you even be able to remember 2008 without remembering Kids (possibly the best single of the year), Time to Pretend and Electric Feel? They made a mighty impact in a really short time. Probably didn't hurt that they had one of the best engineers on the planet Dave Fridmann (Flaming Lips, Mercury Rev) producing their record, but in the end the talent was there. They tapped into a sound that captures classic rock elements and transforms it into a modern sound all their own. They brought the psychedelic pop/rock sound back into the mainstream even while everyone else was doing the electronic thing. A Classic! 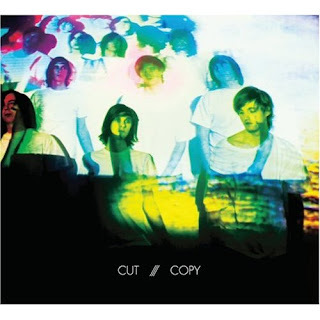 No surprise here... By far my favorite album of 2008 is the sophmore album by Australia's Cut/Copy. They don't make electro-pop records any better than this. 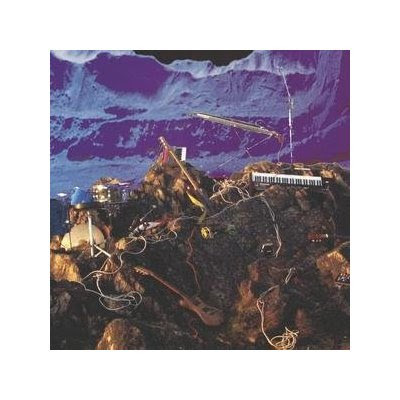 Even the instrumental tracks work perfectly within the context of the album and provide life. This has to be one of the best produced records of the year. A blueprint of how a great electronic pop album should sound like. Amazing synths, guitars, bass lines, vocals, melodies & pop hooks that leave you singing in your head for days on end after listening to them. Whereas their first album 'Bright Like Neon Love' had some great tracks, it was a bit more sporadic and vague, like they were still searching for their sound. In this record they honed their craft to a razor sharp edge. In my opinion Cut Copy have become our generations New Order who they are compared to for good reason. This album reminds me of peak era New Order circa 1987 when they were putting out Bizarre Love Triangle and True Faith. But one of my ultimate tests is the dancefloor and everytime I play them out the dancefloor fills up and people's heads start bobbing and that's what it's all about. This is a great list. Good to hear Gruff Rhys again.